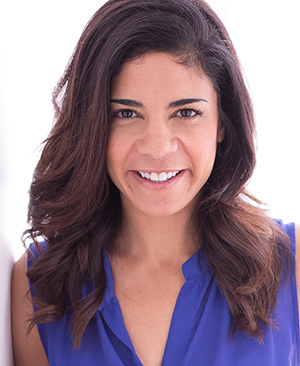 “When you walk into the audition room, you get up onto a little constructed stage, and as soon as you say, ‘Good morning, my name is Natalia Cuevas and these are my pieces,’ they start the timer. 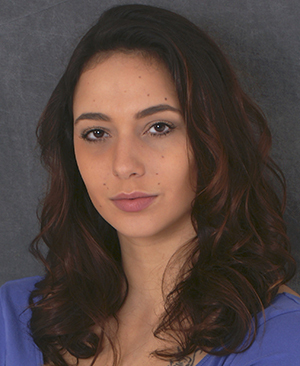 Cuevas, a 2014 graduate of Notre Dame’s Department of Film, Television, and Theatre (FTT), recalls her experience at this year’s National Unified Auditions and Interviews. Organized by the University/Resident Theatre organization (URTA), the annual auditions draw more than 1,100 students and young professionals who wish to pursue graduate degrees in theatre. “Imagine a kind of live, national GRE exam where students audition in open competition against one another, evaluated by representatives from the best graduate theatre programs,” said Professor Jim Collins, chair of the department. Notre Dame had record success in 2014, with six of the seven FTT students who auditioned receiving offers from graduate programs in attendance. Several—including Cuevas—even received multiple offers. To prepare for the auditions, all seven students took an Audition Seminar course with Scott, a professional specialist in FTT. Cuevas, who is now pursuing an M.F.A in dramatic arts at the University of Connecticut, said that Scott’s support and guidance were invaluable throughout the entire process. In the course, the students prepared a portfolio of monologues, researched the graduate schools that would be participating in the auditions, and met one-on-one with Scott to rehearse their pieces. Scott, who holds an M.F.A. from DePaul University and remembers well her own experience at the URTA auditions, emphasizes the importance of selecting and developing the right pieces for each student. 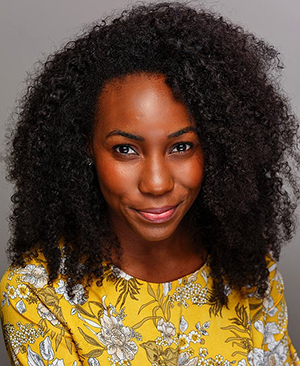 The Audition Seminar course—and the entire faculty of the Department of Film, Television, and Theatre—creates a supportive environment in which students can hone their craft, said Zuri Eshun ’14, who is now attending London’s East 15 Acting School at the University of Essex. With Scott’s guidance, the students prepared one classical and one contemporary monologue for the initial two-minute audition, plus four additional pieces. After leaving the stage, each student anxiously awaited callbacks from graduate schools. As soon as 15 minutes later—and throughout the following days, selected students were invited to short one-on-one meetings with each interested school. In the meetings, the students are sometimes asked to repeat monologues, perform additional monologues, or just talk with the representatives. Eshun credits her College of Arts and Letters background with helping her become a more competitive candidate, especially in moments like those. Scott agrees that a broad-based liberal arts education helps Notre Dame students stand out, particularly during an audition process that often favors candidates who have worked in the industry for a few years following their undergraduate education. In the end, five students accepted offers they received through the URTA auditions. A sixth student chose to defer graduate school and begin working professionally in New York City, where she was just cast in a leading role in an episode of an Oxygen show called My Crazy Love. The seventh student elected to pursue a graduate program in dentistry—another example, Scott said, of what she enjoys about teaching in a B.A. program. Notre Dame students bring a broad base of knowledge to their FTT classes, she said. This leads to enriching discussions on a variety of topics, from a playwright’s allusion to the gods of ancient Greece to the psychological effects of experiencing a theatre performance. “I love students who come to theatre courses with completely different majors and different perspectives,” Scott said. “For example, I have students from the Program of Liberal Studies, history, psychology, and the pre-med program. Originally published by Carrie Gates at al.nd.edu on October 16, 2014.